The Warm Days of Summer! Helps us get the word out! Remember if you refer a friend, family member, employer, co-worker, or Facebook friend to Grosh’s Lawn Service, you will receive a $25.00 gift card to Amazon or your favorite restaurant. We love to hear from our clients, so send us anemail with any question, concerns, and of course, leave us a review! We hope you are enjoying the summer, and are making the best of the AC when you can. Do have anything that needs special attention? A retaining wall that needs replaced? A cracked and damaged sidewalk that could cause injury from tripping or falling? Perhaps you have a broken curb? Contact Tom today if you would like help with your “To Do List” this summer, Tom@GroshsLawnService.com. Grosh's Lawn Service was proud to sponsor Hagerstown Maryland's H*Town Elite 6th Grade Youth Basketball Team with the Police Athletic League of Hagerstown, Maryland. The team recently traveled to the National Tournament, which was held in Orlando, Florida, from July 25-29 2018. Read more on our blog. It's time for our clients based in Hagerstown, Maryland, and the surrounding areas, to schedule your lawn aeration. Did you delay scheduling with Grosh's Lawn Service because you thought you would be able to rent the machine, find a trailer for hauling, strap it in place, and then start to aerate, all before the start of a downpour? 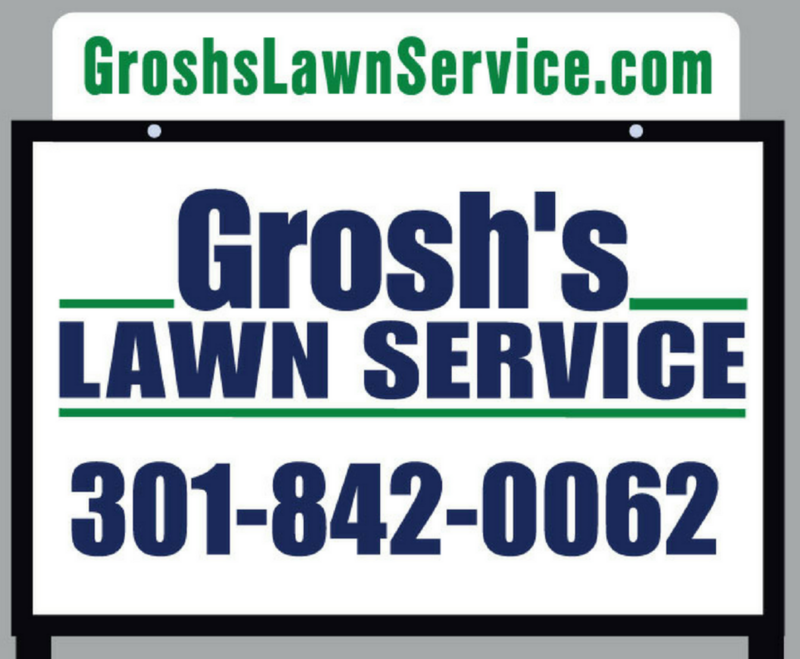 Avoid the stress and have Grosh’s Lawn Service take care of the aeration. We offer aeration and over-seeding service because this is among the best things you can do not only for the health of your lawn, but for Potomac River and Chesapeake Bay protection. You might be asking how does this help the Potomac River and the Chesapeake Bay? Aeration helps relieve compaction of the soil allow rainfall to soak in to the soil, reducing runoff! 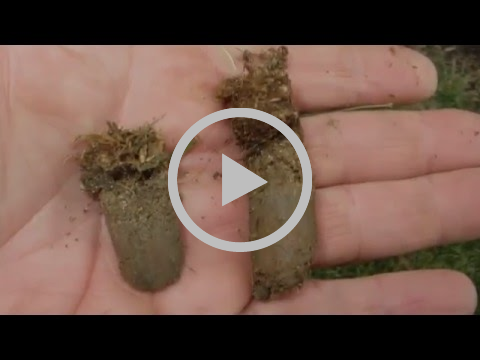 Watch this Grosh’s Lawn Service YouTube video of lawn aeration and over-seeding to see how aeration works. Then, contact Tom at Tom@GroshsLawnService.com to schedule your lawn aeration and over-seeding. The nursery has a great selection of spring blooming trees ready to plant at your home or commercial property in the Williamsport, Maryland area. 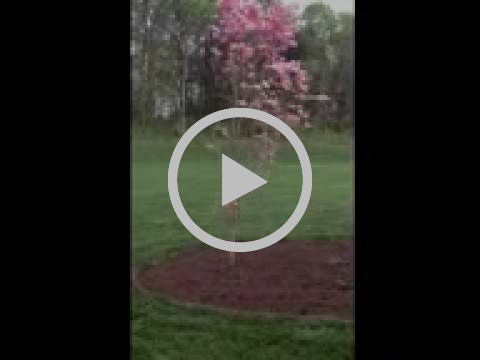 Tom and the team at Grosh’s Lawn Service planted this cherry tree at our client's home in Hagerstown, Maryland! 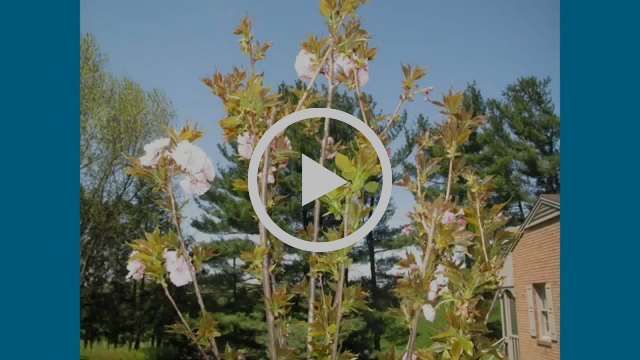 Watch the video and see if you can tell what type of cherry tree this is. Did you know the team at Grosh’s Lawn Serviceteamed up with students from Clear Spring Middle School to help make our planet a little greener? 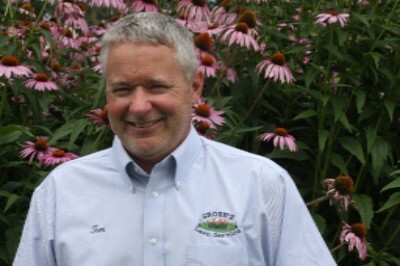 Take a few minutes and watch Grosh’s Lawn Service YouTube video to learn more. As we begin August, that means it's almost time to start our fall lawn care treatment program. For our clients who are new to Grosh's Lawn Service, or Grosh's Grass Gazette, our lawn treatment program will help eliminate dandelions and white clover in your lawn as well as other broad-leaf weeds. Just as the landscape needs freshened up, so do our reviews. Please take time to post your review online, or send directly to Tom. 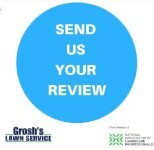 Check out our recent review videos on YouTube to see what others had to say about Grosh's Lawn Service. Thank you Tracey Lynn for the 5 STAR Video Review! Missing some summer color in your Clear Spring, Maryland, area landscape? Hydrangeas are a great summer plant for any landscape here in Washington County, Maryland, and the surrounding area. Proven Winners brand has a great selection of colors of Hydrangeas from Limelight, Little Lime, Incrediball, andQ uick Fire, to Bobo, Pinky Winky, Invincibelle, Little Quick Fire, and more! There is something for everyone’s taste. As always, if you would like to add some summer color contact Tom at Tom@GroshsLawnService.com. Looking to add an Arbor or Pergola to your landscape this fall? Tom and the team at Grosh’s Lawn Service can help! There are so many, and we mean many, types, styles, and colors to choose from it almost boggles the mind. Give Tom a call today at 301-842-0062 to talk through your ideas and options.